Trabzon ([ˈtrabzon]), historically known as Trebizond (in Ancient Greek: Τραπεζοῦς Trapezous) is a city on the Black Sea coast of northeastern Turkey and the capital of Trabzon Province. Trabzon, located on the historical Silk Road, became a melting pot of religions, languages and culture for centuries and a trade gateway to Persia in the southeast and the Caucasus to the northeast. The Venetian and Genoese merchants paid visits to Trebizond during the medieval period and sold silk, linen and woolen fabric; the Republic of Genoa had an important merchant colony within the city called Leonkastron that played a role to Trebizond similar to the one Galata played to Constantinople (modern Istanbul). Trabzon formed the basis of several states in its long history and was the capital city of the Empire of Trebizond between 1204 and 1461. During the early modern period, Trabzon, because of the importance of its port, became a focal point of trade to Persia and the Caucasus. 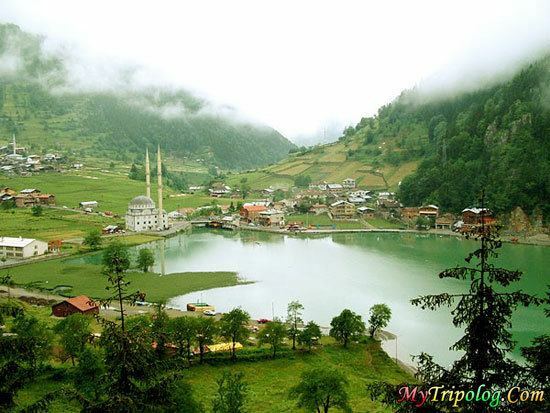 The Turkish name of the city is Trabzon. It is historically known in English as Trebizond. In Latin, Trabzon was called Trapezus, which is the latinization of the Ancient Greek Τραπεζοῦς (Trapezous), the first name of the city. (τράπεζα meant "table" in Ancient Greek; note the table on the coin in the figure.) Both in Pontic Greek and Modern Greek, it is called Τραπεζούντα (Trapezounta). In Ottoman Turkish and Persian, it is written as طربزون. During Ottoman times, Tara Bozan was also used. Some western geographers used this name instead of the Latin Trebizond. In Laz it is known as ტამტრა (T'amt'ra) or T'rap'uzani, in Georgian it is ტრაპიზონი (T'rap'izoni) and in Armenian it is Տրապիզոն Trapizon. The 19th-century Armenian travelling priest Byjiskian called the city by other, native names, including Hurşidabat and Ozinis. Other versions of the name, which have incidentally been used in English literature as well, include: Trebizonde (Fr. ), Trapezunt (Ge. ), Trebisonda (Sp. ), Trapesunta (It. ),Trapisonda, Tribisonde, Terabesoun, Trabesun, Trabuzan, Trabizond and Tarabossan. The oldest area associated with the Kartvelians was northeastern Anatolia, including the Iron Age monarchy of the Diauehi (early-Georgians), later known as the culturally important region of T’ao-Klarjeti, where they pre-dated the Hittites. Trebizond was greatly affected by two events over the following centuries: in the civil war between Septimius Severus and Pescennius Niger, the city suffered for its support of the latter, and in 258 the city was pillaged by the Goths, despite reportedly being defended by "10,000 above its usual garrison', and being defended by two bands of walls. Although Trebizond was rebuilt after being pillaged by the Goths in 258, the city did not soon recover. Only in the reign of Diocletian appears an inscription alluding to the restoration of the city; Ammianus Marcellinus could only write of Trebizond that it was "not an obscure town." Christianity had reached Trebizond by the third century, for during the reign of Diocletian occurred the martyrdom of Eugenius and his associates Candidius, Valerian, and Aquila. By the time of Justinian, the city served as an important base in his Persian Wars, and Miller notes that a portrait of the general Belisarius "long adorned the church of St. Basil." An inscription above the eastern gate of the city, commemorated the reconstruction of the civic walls following an earthquake at Justinian's expense. At some point before the 7th century the university (Pandidakterion) of the city was reestablished with a quadrivium curriculum. The university drew students not just from the Byzantine Empire, but from Armenia as well. The city regained importance when it became the seat of the theme of Chaldia. Trebizond also benefited when the trade route regained importance in the 8th to 10th centuries; 10th-century Muslim authors note that Trebizond was frequented by Muslim merchants, as the main source transshipping Byzantine silks into eastern Muslim countries. The Italian maritime republics such as the Republic of Venice and in particular the Republic of Genoa were active in the Black Sea trade for centuries, using Trabzon as an important seaport for trading goods between Europe and Asia. Some of the Silk Road caravans carrying goods from Asia stopped at the port of Trebizond, where the European merchants purchased these goods and carried them to the port cities of Europe with ships. This trade provided a source of revenue to the state in the form of custom duties, or kommerkiaroi, levied on the goods sold in Trebizond. The Greeks protected the coastal and inland trade routes with a vast network of garrison forts. Following the Byzantine defeat at the Battle of Manzikert in 1071, Trebizond came under Seljuk rule. This rule proved transient when an expert soldier and local aristocrat, Theodore Gabras took control of the city from the Turkish invaders, and regarded Trebizond, in the words of Anna Comnena, "as a prize which had fallen to his own lot" and ruled it as his own kingdom. Supporting Comnena's assertion, Simon Bendall has identified a group of rare coins he believes were minted by Gabras and his successors. Although he was killed by the Turks in 1098, other members of his family continued his de facto independent rule into the next century. The Fourth Crusade (1202–1204) and the Sack of Constantinople by the Latin Crusaders in April 1204 led to the dissolution of the Byzantine Empire. The Empire of Trebizond was formed in 1204 as one of the three Byzantine Greek successor states of the Byzantine Empire. Located at the far northeastern corner of Anatolia, it was the longest surviving of the Byzantine successor states. Geographically, the Empire of Trebizond consisted of little more than a narrow strip along the southern coast of the Black Sea, and not much further inland than the Pontic Mountains. However, the city gained great wealth from the taxes it levied on the goods traded between Persia and Europe via the Black Sea. The Mongol siege of Baghdad in 1258 diverted more trade caravans towards the city. Genoese and to a lesser extent Venetian traders regularly came to Trabzon. To secure their part of the Black Sea trade, the Genoese bought the coastal fortification "Leonkastron", just west of the winter harbour, in the year 1306. One of the most famous persons to have visited the city in this period was Marco Polo, who ended his overland return journey at the port of Trebizond, and sailed to his hometown Venice with a ship; passing by Constantinople (Istanbul) on the way, which was retaken by the Byzantines in 1261. A year earlier, in 1260, Niccolò and Maffeo Polo (the father and uncle of Marco Polo) were residing in Constantinople, then the capital of the Latin Empire. They foresaw a political change, liquidated their assets into jewels and moved away. Their decision proved wise, as Constantinople was recaptured in 1261 by Michael VIII Palaiologos, the ruler of the Empire of Nicaea, who promptly burned the Venetian quarter in the city and reestablished the Byzantine Empire. Captured Venetian citizens in Constantinople were blinded, while many of those who managed to escape perished aboard overloaded refugee ships fleeing to other Venetian colonies in the Aegean Sea. Together with Persian goods, Italian traders brought stories about the city to Western Europe. Trebizond played a mythical role in European literature of the late middle-ages and the Renaissance. Miguel de Cervantes and François Rabelais gave their protagonists the desire to possess the city. Next to literature, the legendary history of the city also influenced the creation of theatre plays, operas and musical arrangements throughout the following centuries. The city also played a role in the early Renaissance, especially under patronage of Alexios II of Trebizond and his grandson Alexios III. After the great city fire of 1310, the ruined university was reestablished. As part of the university Gregory Choniades opened a new academy of astronomy, which housed the best observatory outside Persia. Choniades brought with him the works of Shams al-Din al-Bukhari, Nasir al-Din al-Tusi and Abd al-Rahman al-Khazini from Tabriz, which he translated into Greek. These works later found their way to western Europe, together with the astrolabe. The observatory Choniades built would become known for its accurate solar eclipse predictions, but was probably used mostly for astrological purposes for the emperor and/or the church. Constantinople remained the Byzantine capital until it was conquered by the Ottoman Sultan Mehmed II in 1453, who also conquered Trebizond eight years later, in 1461. 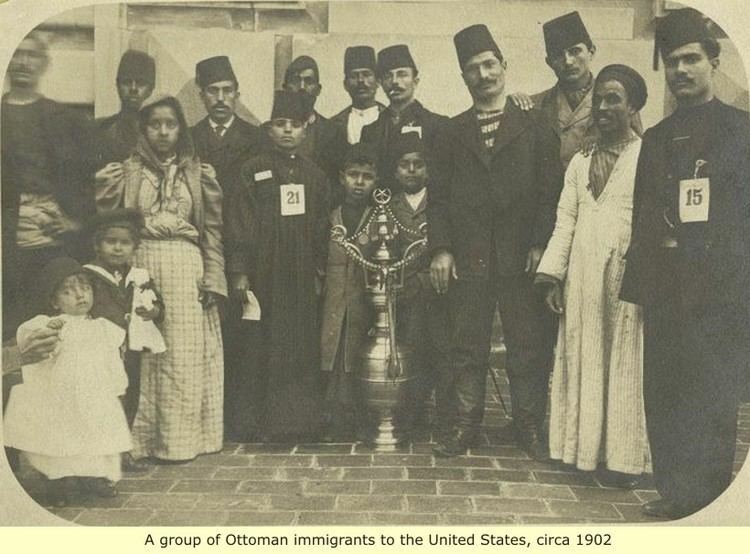 Its demographic legacy endured for several centuries after the Ottoman conquest in 1461, as a substantial number of Greek Orthodox inhabitants, usually referred to as Pontic Greeks, continued to live in the area during Ottoman rule, up until 1923, when they were deported to Greece. A few thousand Greek Muslims still live in the area, mostly in the Çaykara-Of dialectical region to the southeast of Trabzon. Most are Sunni-Muslim, while there are some recent converts in the city and possibly a few Crypto-Christians in the Tonya/Gümüşhane area to the southwest of the city. Compared to most previously Greek cities in Turkey, a large amount of its Greek Byzantine architectural heritage survives as well. The last Emperor of Trebizond, David, surrendered the city to Sultan Mehmed II of the Ottoman Empire in 1461. Following this takeover, Mehmed II sent many Turkish settlers into the area, but the old ethnic Greek, Laz and Armenian communities remained. According to the Ottoman tax books (tahrir defterleri), the total population of adult males in the city was 1,473 in the year 1523. Approximately 85% of them (1,252 adult males) were Christian, 13% of whom (197 adult males) were Armenian, and 15% of them (221 adult males) were Muslim. However, a large portion of the local Christians were Islamized and Turkified by the end of the 17th century, according to a research by Prof. Halil İnalcık on the tax books (tahrir defterleri) of the Ottoman Empire. Trabzon was sanjak centre in Rum Eyalet (1461-1514) and (1520-1535), Erzincan-Bayburt eyalet (1514-1517), Anadolu Eyalet (1517-1520) and Erzurum Eyalet (1535-1598). Trabzon was the capital of the Ottoman Eyalet of Trebizond (1598–1867) and later of the Ottoman Vilayet of Trebizond (1867–1923) in the northeastern part of Anatolia. During the reign of Sultan Bayezid II, his son Prince Selim (later Sultan Selim I) was the sancakbeyi of Trabzon, and Selim I's son Suleiman the Magnificent was born in Trabzon on November 6, 1494. The Ottoman government often appointed local Chepni and Laz beys as the regional beylerbey. It is also recorded that some Bosniak beys were also appointed by the Sublime Porte as the regional beylerbeyi in Trabzon. The Beylerbeylik of Trabzon (Trabzon Beylerbeyliği) had always sent troops for the Ottoman campaigns in Europe during the 16th and 17th centuries. Trabzon had a wealthy merchant class during the late Ottoman period, and the local Christian minority had a substantial influence in terms of culture, economy and politics. A number of European consulates were opened in the city due to its importance in regional trade and commerce. In the first half of the 19th century Trabzon even became the main port for Persian exports. However, the opening of the Suez Canal greatly diminished the international trading position of the city. In the last decades of the 19th century the city saw some demographic changes. Many Christians from wider region started to migrate to the Crimea and southern Ukraine, in search for farmland or employment in one of the booming cities along the northern and eastern coasts of the Black Sea. At the same time, thousands of Muslim refugees from the Caucasus arrived in the city. Next to Constantinople, Smyrna and Selanik, Trabzon was one of the cities where western cultural and technological innovations were first introduced to the Ottoman Empire. In 1835, the American Board of Commissioners for Foreign Missions opened the Trebizond Mission station that it occupied from 1835 to 1859 and from 1882 to at least 1892. Hundreds of schools were constructed during the first half of the 19th century, giving the region one of the highest literacy rates of the empire. The city got a post office in 1845. New churches and mosques were built in the second half of the 19th century, as well as the first theater, public and private printing houses, multiple photo-studios and banks. The oldest known photographs of the city center date from the 1860s and depict one of the last camel trains from Persia. Between one and two thousand Armenians are believed to have been killed in the Trebizond vilajet during the Hamidian massacres of 1895. While this number was low in comparison to other Ottoman provinces, its impact on the Armenian community in the city was large. Many prominent Armenian residents, among them scholars, musicians, photographers and painters, decided to migrate towards the Russian Empire or France. The large Greek population of the city was not affected by the massacre. Due to the high number of Western-Europeans in the city, news from the region was being reported on in many European newspapers. These western newspapers were in turn also very popular among the residents of the city. In 1901 the harbour was equipped with cranes by Stothert and Pitt of Bath in England. In 1912 the Sümer Opera House was opened on the central Meydan square, being one of the first in the empire. The city was the site of one of the key battles between the Ottoman and Russian armies during the Trebizond Campaign, part of the Caucasus Campaign of World War I. A bombardment of the city in 1915 by the Russian navy cost the lives of 1300 citizens. The Russian army landed at Atina, east of Rize on march 4, 1916. Lazistan Sanjak fell within two days. However, due to heavy guerilla resistance around Of and Çaykara some 50 km to the east of Trabzon, it took a further 40 days for the Russian army to advance west and take control of the city, on April 15. The capture of Trabzon by the Russian Caucasus Army under command of Grand Duke Nicholas and Nikolai Yudenich caused a massive destruction in the city. Russians banned Muslim mosques, and forced Turks, who were the largest ethnic group living in the city, to leave Trabzon. The Russian Army ultimately retreated from the city and the rest of eastern and northeastern Anatolia with the Russian Revolution of 1917. Trabzon was a major Armenian extermination centre during the Armenian Genocide, as well as a location of subsequent trials (see Trabzon during the Armenian Genocide). Many of the victims were taken out to sea in boats that were then capsized. The Trabzon trials reported Armenians having been drowned in the Black Sea. During the Turkish War of Independence several Christian Pontic Greek communities in the Trebizond vilajet rebelled against the new army of Mustafa Kemal, but when nationalist Greeks came to Trabzon to proclaim revolution, they were not received with open arms by the local Pontic Greek population of the city. At the same time the Muslim population of the city protested the arrest of prominent Christians, and the government of Trabzon refused arms to Mustafa Kemal's henchman Topal Osman, who was responsible for mass murders in the western Pontus. Osman was forced out of the city by armed Turkish port-workers. Following the war and the annulment of the Treaty of Sèvres (1920), which was replaced by the Treaty of Lausanne (1923), Trabzon again became a part of Turkey. The efforts of the pro-Ottoman, anti-nationalist population of Trabzon only postponed the inevitable, because the national governments of Turkey and Greece in January 1923 agreed to a mutual forced population exchange. This exchange included well over one hundred thousand Greeks from Trabzon and the vicinity, to the relatively new Greek state, along with the Christian population of Ionia (over a million people). Topal Osman would eventually murder parliamentarian Ali Şükrü Bey from Trabzon for his criticism of the nationalist government of Mustafa Kemal. 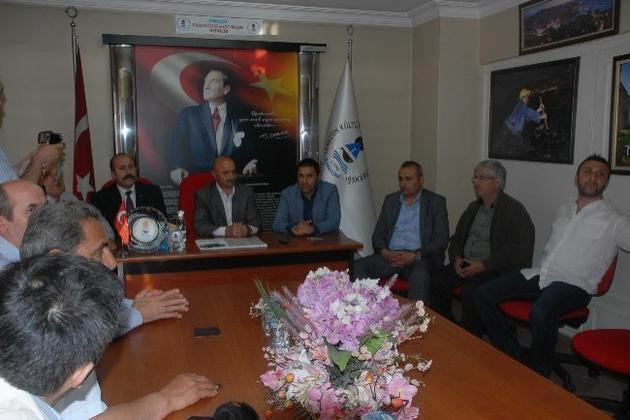 Ali Şükrü Bey, who had studied in the United Kingdom and led the first Turkish opposition party, is seen as a hero by the people of Trabzon, while in neighboring Giresun there is a statue of his murderer Topal Osman. During World War II shipping activity was limited because the Black Sea had again become a war zone. Hence, the most important export products, tobacco and hazelnut, could not be sold and living standards degraded. As a result of the general development of the country, Trabzon has developed its economic and commercial life. The coastal highway and a new harbour have increased commercial relations with central Anatolia, which has led to some growth. However, progress has been slow in comparison to the western and the southwestern parts of Turkey. Trabzon is famous throughout Turkey for its anchovies called hamsi, which are the main meal in many restaurants in the city. 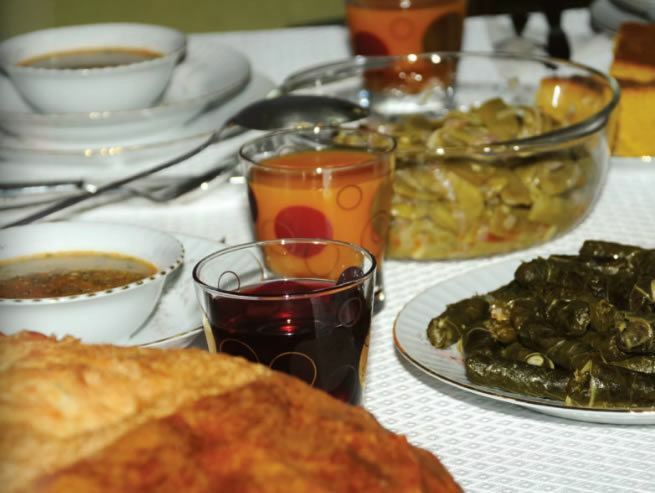 Major exports from Trabzon include hazelnuts and tea. The city still has a sizable community of Greek-speaking Muslims, most of whom are originally from the vicinities of Tonya and Of. However, the Pontic Greek language (known as Romeiaka or Ποντιακά, Pontiaka) is spoken mostly by the older generations. As of 1920, the port at Trabzon, was considered "the most important of the Turkish Black Sea ports", by the British. It traded as far as Tabriz and Mosul. As of 1911, Central Bank of the Republic of Turkey signed an agreement to develop a harbor at the port. When the Russians occupied Trabzon, a mole was built. They built a breakwater and were responsible for creating an extended pier, making loading and unloading easier. In 1920, Trabzon produced linen cloth, silver filagree, tanning and small amounts of cotton, silk and wool. Tobacco and hazelnuts were exported. The tobacco produced in Trabzon was called Trebizond-Platana. It was described as having "large leaves and a bright colour." Trabzon was known for producing poor quality cereals, most which were grown for local use. Trabzon produced a white green bean, which was sold in Europe. It was, as of 1920, the only vegetable exported out of the province. Poultry farming was also popular in Trabzon. Sericulture was seen in the area before 1914. The area produced copper, silver, zinc, iron and manganese. Copper was kept for local use by coppersmiths. During the Balkan Wars production ceased due to poor exportation and fuel supplies. The current ethnic background of the people of Trabzon is mostly Turkish. There are also descendants of Circassian muhajiris in the city, as well as smaller number of Laz people, Muslim Greeks (Romeyka-speakers) and Armenians (Hemshin). Local Turks are mostly of Chepni Turkmen origin. The main language of these ethnic groups is Turkish. Modern migration since the dissolution of the Soviet Union has brought a significant number of Russians, Ukrainians and people from the Caucasus (mostly Georgia) into the city. Russian language shops and facilities can be found in the town. Pontic Greek has been spoken in the region since early antiquity. The local dialect developed along its own lines and is today partly intelligible to speakers of Standard Greek. It was spoken mainly by a Greek Orthodox multi-ethnic population up to the population exchange; nearly all speakers of this local variant of Pontic Greek are now Muslims. A very similar dialect is spoken by a community of about 400 speakers, descendants of Christians from the Of valley now living in Greece in the village of Nea Trapezounta (New Trebizond), today part of Katerini, Central Macedonia. Laz people, who are aboriginal to this area, also live in Trabzon. Numerous villages inside and out of Trabzon of the Laz date back as early as the period of Queen Tamar's rule (Georgian: თამარი, also transliterated as T'amar or Thamar; c. 1160 – 18 January 1213) in the newly unified Kingdom of Georgia. During the Queen's rule, sizeable groups of immigrating Georgians moved to Trabzon where they continue to preserve their native tongue. There was an Armenian community in Trebizond as early as the 7th century. During the 13th and 14th centuries, numerous Armenian families migrated here from Ani. Robert W. Edwards published part of an early 15th-century diary from the Castilian ambassador who visited Trabzon and compared the churches of the Greek and Armenian communities. It was stated by the ambassador that the Armenians, who were not well like by the Greeks, had a population large enough to support a resident bishop. According to Ronald C. Jennings, in the early 16th century, Armenians made up approximately 13 percent of the city's population. At present, Trabzon does not have an Armenian-speaking community. 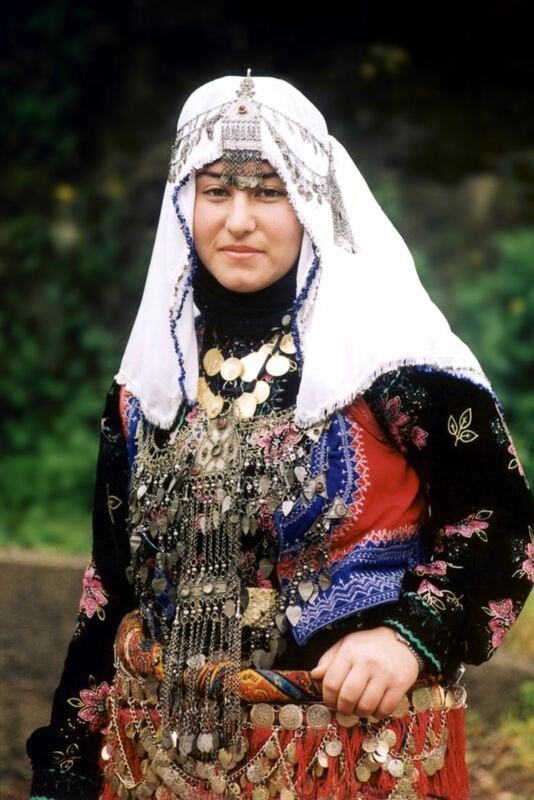 The Chepni people, a tribe of Oghuz Turks who played an important role in the history of the eastern Black Sea area in the 13th and 14th centuries, live in the Şalpazarı (Ağasar valley) region of the Trabzon Province. Very little has been written on the Turkification of the area. There are no historical records of any considerable Turkish-speaking groups in the Trabzon area until the late 15th century, with the exception of the Chepnis. The original Greek (and in some regions Armenian) speakers imposed features from their mother language into the Turkish spoken in the region. Heath W. Lowry's work with Halil İnalcık on Ottoman tax books (Tahrir Defteri) provides detailed demographic statistics for the city of Trabzon and its surrounding areas during the Ottoman period. It is possible that the majority of the population of Trabzon and Rize (and other ancient Greek colonies in the Pontus region) — except up to the time of the Chepni Turk immigration waves — consisted of indigenous Caucasian tribes (the Colchians and the Laz) who had been partly Hellenized religiously and linguistically. Michael Meeker stresses the cultural resemblances (e.g. in village structure, house types, and pastoral techniques) between the Eastern Black Sea coast and the areas in the Caucasus proper. The Hagia Sophia (Turkish: Ayasofya Müzesi), a stunning Byzantine church, is probably the town's most important tourist attraction. The "Atatürk Köşkü" is a villa built in 1890 by a local Greek merchant. In 1924 Mustafa Kemal Atatürk stayed in the villa during his visit to Trabzon. He stayed there again in 1937. It houses period rooms and serves as a monument to the memory of the founder and first President of the Republic of Turkey. Uzun Sokak is one of the most crowded streets of Trabzon. Trabzon's Bazaar District offers interesting shopping opportunities on ancient narrow streets, continuing from Kunduracılar Street from the Meydan (town square). Kostaki Mansion is located to the north of Zeytinlik near Uzun Sokak. Folk dancing is still very much in evidence in the Black Sea region. The "Horon" is a famous dance which is indigenous to the city and its surrounding area. It is performed by men, women, the young and elderly alike; in festivities, local weddings and harvest times. While similar to Russian Cossack dances in terms of vividness, the Trabzon folk dance is probably indigenous to the eastern Black Sea region, which has an impressive variety of folk music . The people of Trabzon have a reputation for being religiously conservative and nationalist. Many Trabzonites generally show a strong sense of loyalty to their family, friends, religion and country. Atatürk selected his presidential guards from Trabzon and the neighbouring city of Giresun because of their fierce fighting ability and their loyalty. Outside of the relatively urban space of Trabzon proper, and within parts of it as well, rural traditions from the Black Sea village life are still thriving. These include traditional gender roles, social conservatism, hospitality and a willingness to help strangers; and all aspects, both positive and negative, of an agrarian lifestyle, such as hard work, poverty, strong family ties, and a closeness to nature. The people of the eastern Black Sea region are also known for their wit and sense of humour; in fact many jokes in Turkey are told about the natives of the Black Sea region Karadeniz fıkraları (Black Sea jokes). The character Temel, a universal buffon figure found in many cultures, forms an important part of the Turkish oral tradition. The city's profile was raised somewhat in the English-speaking world by Dame Rose Macaulay's last novel, The Towers of Trebizond (1956), which is still in print. Black Sea Technical University in Trabzon hosts students from all over Turkey, especially from the Black Sea and East Anatolian regions, as well as students from the Turkic states in Central Asia. Historically the city was a center of Greek culture and education and from 1683 to 1921, a teachers' college operated known as Phrontisterion of Trapezous, which provided a major impetus for the rapid expansion of Greek education throughout the region. The building of this institution (built in 1902) still remains the most impressive Pontic Greek monument in the city and today hosts the Turkish school Anadolu Lisesi. Football is the most popular sport in Trabzon. The city's top sports club, Trabzonspor, was until 2010 the only Turkish football club in Anatolia to win the Süper Lig (six times), which was previously (until Trabzonspor's first championship title in the 1975–76 season) won only by the "Big Three" clubs of Istanbul, namely Galatasaray, Fenerbahçe and Beşiktaş. Due to Trabzonspor's success, the decades-old term "Big Three" which defined the most successful football clubs in Turkey had to be modified into the "Big Four". The Champion of the season 2010-11 is Trabzonspor!! !